TouchScreen Air/Vacuum Feed Automatic Creasing, Perforating, and Scoring Machine. 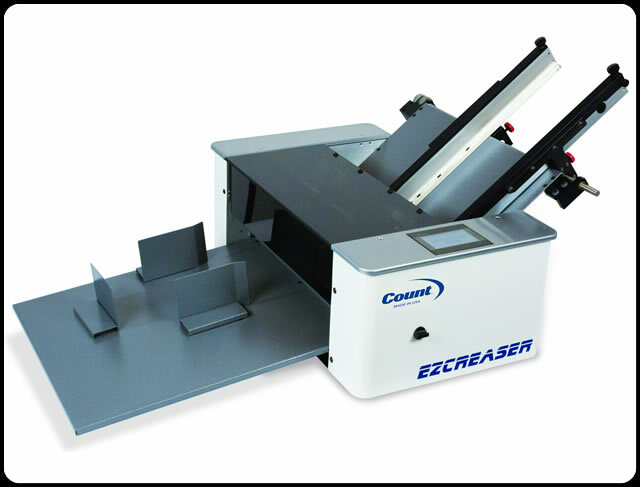 Has the Ability to Crease Digitally Printed Media, Micro-Perf, Rotary Score, and Crease up to 10 times per sheet. 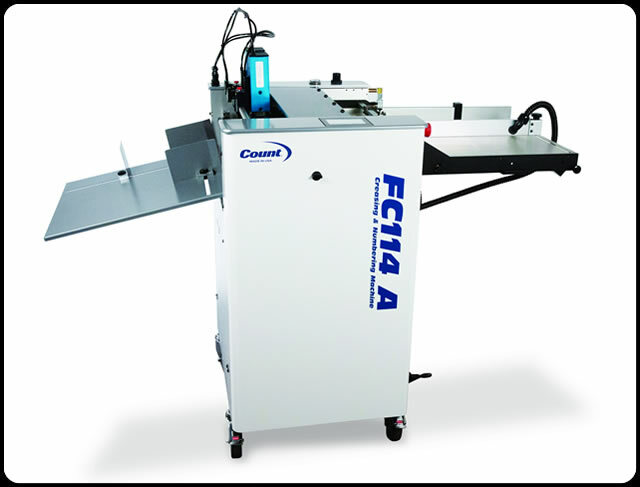 TouchScreen Air Feed Automatic Creasing, Numbering, Perforating, and Scoring Machine with register guide. 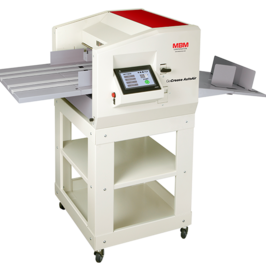 Has the Ability to Micro-Perf, Rotary Score, Crease up to 12 times per sheet and Crash Number up to 24 times per sheet. TouchScreen Top Feed Automatic Creasing, Numbering, Perforating, and Scoring Machine. 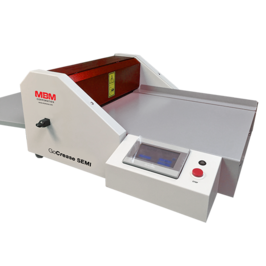 Has the Ability to Micro-Perf, Rotary Score, Crease up to 12 times per sheet and Numbering up to 24 times per sheet. TouchScreen Friction Top Feed Automatic Creasing, Perforating, and Scoring Machine. 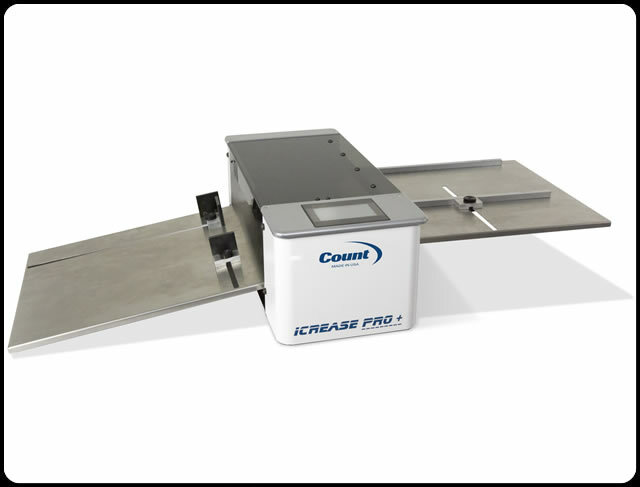 Has the Ability to Micro-Perf, Rotary Score, and Crease up to 12 times per sheet. Touchscreen with Automatic distance Recognition. Perfect for the short to medium run digitally printed stock that needs creasing without the cracking of the toner. User Friendly Touchscreen for Easy Set Up and Control. 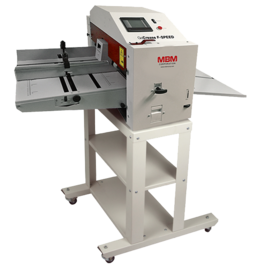 Get all of the automation of bigger COUNT machines in a simple hand-feed machine anyone can use. 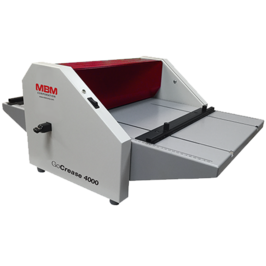 This creasing and perforating machine is designed for the final processing of graphic materials up to 12.6” x 17.7” in paper size. 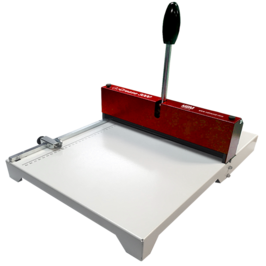 Simple hand operated machine with a working width of 12.6” allows a crease and/or perf to be made with the same quality as the electric GoCrease™ 4000/SEMI. 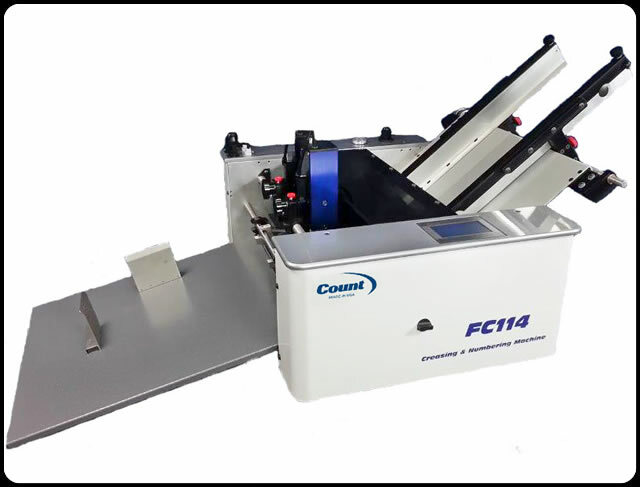 This creasing and perforating machine with a working width of 18” is designed for the final processing of graphic materials up to 18” x 23.4”. Creasing enables high-quality folds of digitally printed paper. 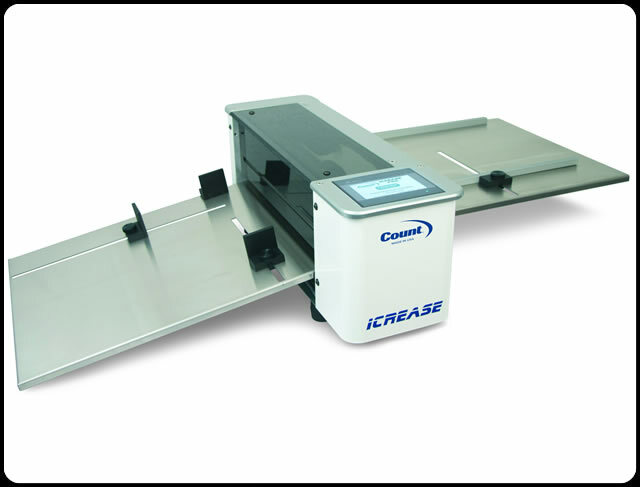 The GoCrease™ SEMI is a creasing and / or perforating machine with programmable control and a working width of 18”. Manual paper input, paper movement powered by motor. Creasing enables high-quality folds of digitally printed paper. The GoCrease™ F-SPEED features a unique friction feed system enabling fast and high production of creased and perforated sheets. This machine also offers a wide range of “easy change” punching tools commonly used for wire binding and calendar production. 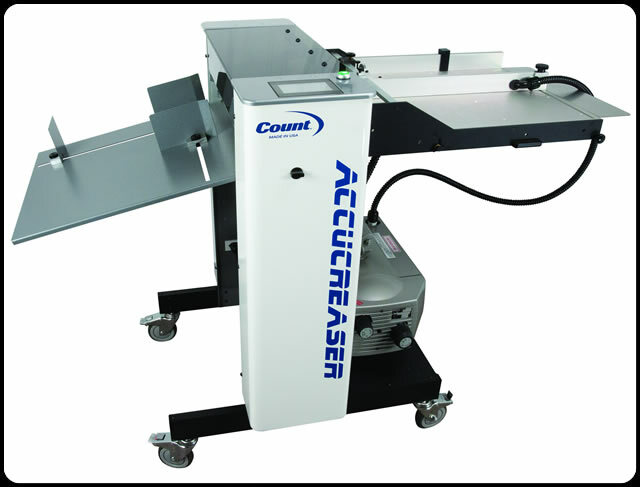 The GoCrease™ AutoAir features a unique air feed system enabling creasing of all types of paper within 80-400 gsm. Accuracy, feeding reliability, versatility of use, optional rotary perforating & cutting tools, high speed, and input capacity - are all main features of this model. Please Click Image For Product Details.